Steven Jackson to the Falcons? 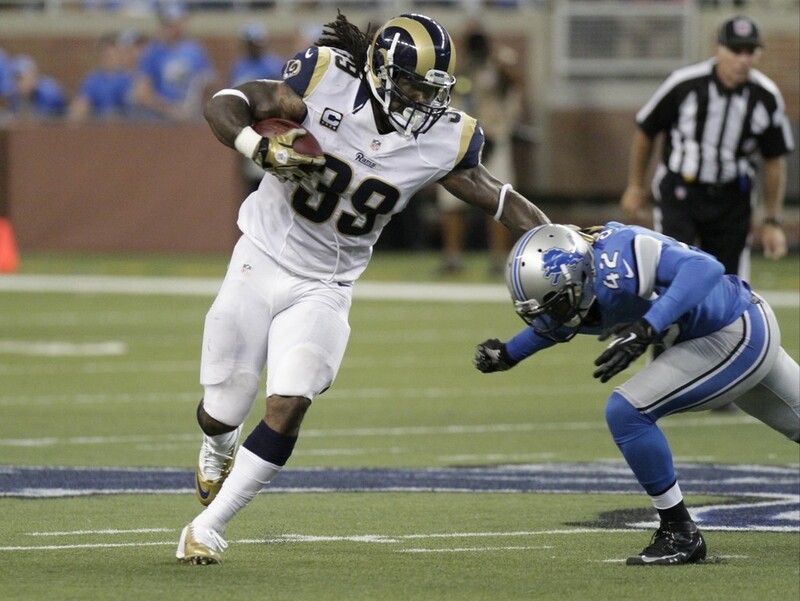 St. Louis Rams running back Steven Jackson will void the final deal of his contract, and the Atlanta Falcons look like a perfect landing spot for him. Atlanta will likely release running back Michael Turner, so they’re in the market for a veteran running back to pair with Jacquizz Rodgers. With free agency starting on March 12 and the NFL Draft beginning April 25, it’s time to take a look at the positions the Atlanta Falcons need to address. 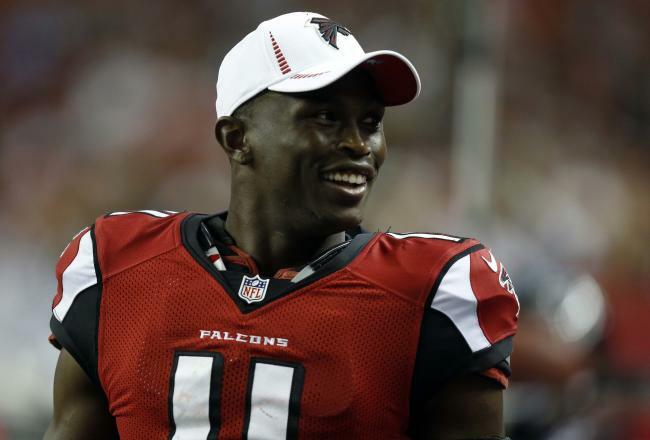 Atlanta Falcons wide receiver Roddy White has made it clear who he wants the front office to pursue in free agency. The Indianapolis Colts have already declared they won’t re-sign Freeney, so the defensive end will be an unrestricted free agent come March 12. The 33-year-old pass rusher has totaled 107.5 sacks in his 10 seasons, but he has just 13.5 sacks over the past two seasons. It should be noted Freeney was forced into the outside linebacker role in Chuck Pagano’s 3-4 defense, which explains the five-sack season last year. The Falcons have been searching for a pass rusher to complement 34-year-old John Abraham since he arrived in Atlanta. If Freeney still has something left in the tank, he and Abraham would generate a pass rush the Falcons desperately need. Atlanta is in win-now mode, so the signing would make sense from that perspective. As it stands, the Falcons need to get younger, and signing a 33-year-old at a key position isn’t ideal for the long-term. 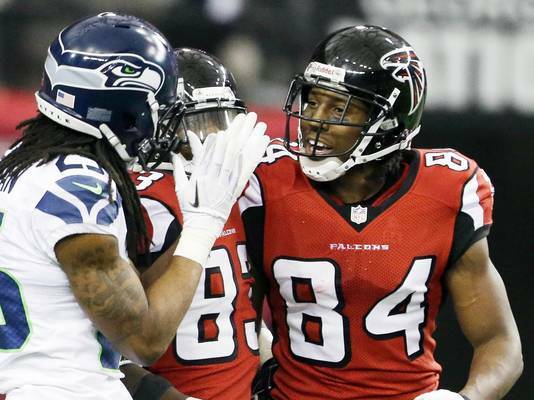 A month after the Atlanta Falcons defeated the Seattle Seahawks in the divisional round of the playoffs, cornerback Richard Sherman finally mustered enough courage to pop off about wide receiver Roddy White. Despite Tony Gonzalez’s declaration of him being 95 percent sure he’s going to retire, Atlanta Falcons general manager Thomas Dimitroff believes it’s more of a 50/50 chance. I’m with Dimitroff on this. Gonzalez has too much left in the tank to retire; he caught 93 passes for 930 yards and eight touchdowns last season, and he’s 36 years old! With the team being so close to playing in Super Bowl XLVII, it’s hard to believe Gonzalez will walk away without giving it one more shot. With a limited amount of cap space, the Atlanta Falcons are going to be forced to make several decisions in keeping their own. 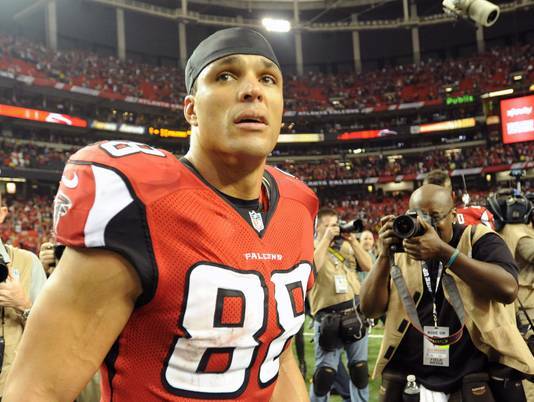 Leading the list of free agents for the Falcons are tackle Sam Baker, tight end Tony Gonzalez, cornerback Brent Grimes, and safety William Moore. 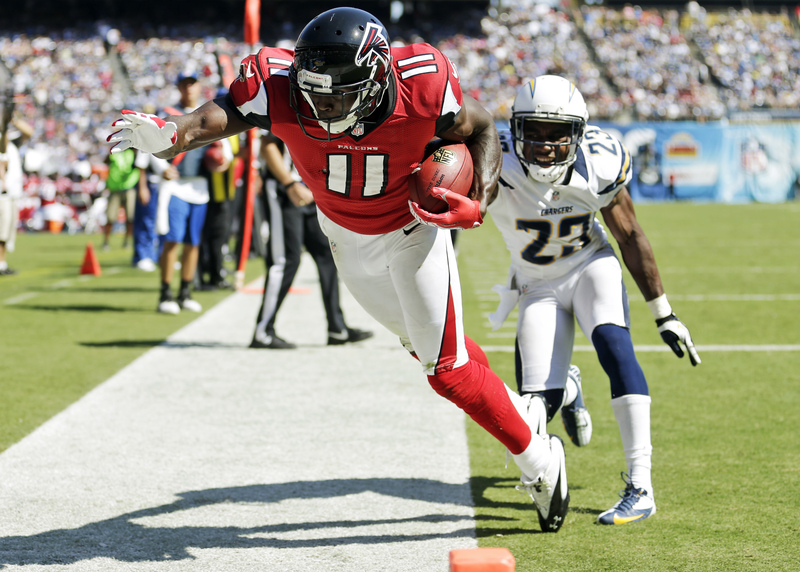 Back in April, I predicted Atlanta Falcons wide receiver Julio Jones would have a monster season. I almost nailed the receptions, but I was off the mark a little with the yards and touchdowns. I figured Tony Gonzalez would play a lesser role in his 16th season, but the ageless tight end caught 93 balls for 930 yards and eight touchdowns. However, Jones did end the season with a huge game against the San Francisco 49ers in the NFC Championship Game; he had 11 receptions for 182 yards and two touchdowns in the loss. He was also selected to his first Pro Bowl. The scary thing is Jones hasn’t even begun to reach his ceiling. Brandt feels Jones’ hands are more reliable and stronger than Johnson’s. For the 2012 NFL season, Jones had 79 receptions for 1,198 yards and 10 touchdowns; Johnson had 122 receptions for 1,924 yards and five touchdowns. It has to be taken into consideration that Jones also has Roddy White (92 receptions, 1,351 yards, and seven touchdowns) and Tony Gonzalez (93 receptions, 930 yards, and eight touchdowns) to compete with. With that said, I don’t think you can say Jones is better than Johnson. While I think Jones will certainly get on Johnson’s level in a couple of years, he’s not better currently. If Jones were the Falcons’ only option in the passing game like Johnson is for the Lions, he’d certainly be able to put up monster numbers as well. As it stands now, Julio has a quarterback in Matt Ryan who likes spreading the football around. Jones is only 24, and he certainly has a bright future in the league.